I am on the city council in Hawkinsville, Ga. Hawkinsville is a small city with slightly over 4,000 citizens. We provide garbage and trash pickup for our citizens. Garbage pickup is the household garbage that goes in the outside containers that the city picks up weekly. Trash pickup is the limbs, leaves, and other natural debris that is left on the curb. Garbage is hauled to the landfill in Houston County where we pay them so much per pound to accept our garbage. Trash pickup is carried to our inert landfill. The inert landfill is a 3 to 4 acre plot of land where this debris is dumped. Once it gets enough debris there, we hire a contractor to come and mulch all of the limbs, trees, branches, and leaves into a mulch that the contractor then hauls away. 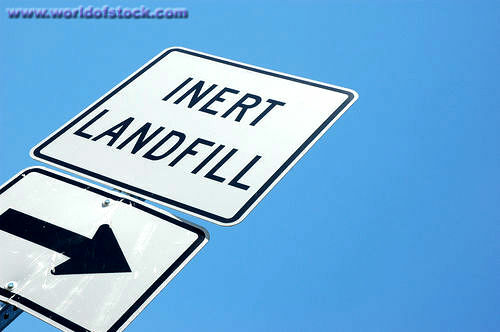 The inert landfill also contains a hole where we dump concrete and asphalt from street and sidewalk repairs. It takes several years to fill up even the smallest holes that we dig – we just don’t have that much concrete that needs to be buried. We have successfully run our inert landfill in this capacity for many years. It does no harm to our environment and provides a cost effective way for the city to handle the trash pickup for our citizens. Our inert landfill does NOT pollute any groundwater and it does NOT cause the creation of methane gas. HOWEVER, the state EPD (Environmental Protection Division of the Department of Natural Resources) is proposing a change to the regulations governing inert landfills. These revisions will cost our citizens and lead to greater illegal dumping by citizens. The regulations will require our little inert landfill to be monitored by professional engineers. The initial cost of meeting these requirements will exceed $150,000 with an annual fee of around $12,000 thereafter. Now I am all for protecting our environment. And I am all for making sure that people do right. EPD’s argument is that some landfills are violating the rules. Some contractors are burying construction debris and then “lost” the documentation on where and how much they buried. But let’s be reasonable and realistic. Let’s go after the violators rather than punishing those of us that have done it correctly. Our taxpayers, locally, state-wide, and federally, are paying all that they can. We certainly don’t need more government bureaucracy causing an additional tax burden that serves absolutely no purpose. Fine the offenders. Regulate the private landfills. Waive these regulations for the small municipal governments that have always operated correctly and will continue to operate correctly. Don’t punish all of us for the faults of a few!